French interior minister Christophe Castaner announced anti-Semitic acts increased by 74% in 2018. This reflects a disturbing release of anti-Jewish hatred. 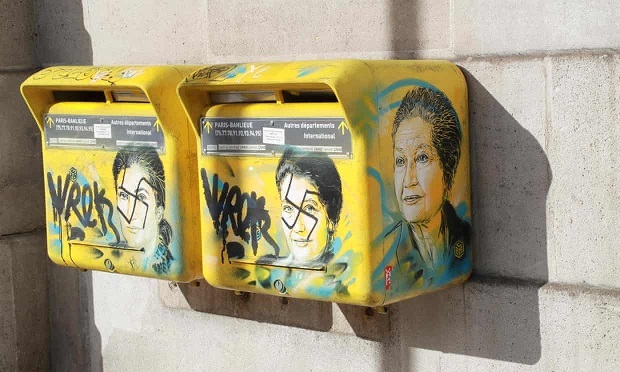 Portraits of Simone Veil desecrated with swastikas, the grove in memory of Ilan Halimi vandalized, the tag Juden on a shop window in Paris … the last days alone testify to the banalization and violence of anti-Semitism in France in 2019. CRIF recalls these statistics do not include acts which did not lead to a complaint, nor anti-Semitic publications on internet. Thus they reflect only very partially the reality of “everyday anti-Semitism” faced by French Jews. CRIF is concerned by the violence of the anti-Semitism on social networks which contributes to the inculcation of anti-Semitism and conspiracy in the minds of the younger generation. For CRIF, the general plans set up to fight hatred appear ineffective, unfortunately. It is now necessary to provide targeted responses to each instance of the hate which is tearing our society apart.